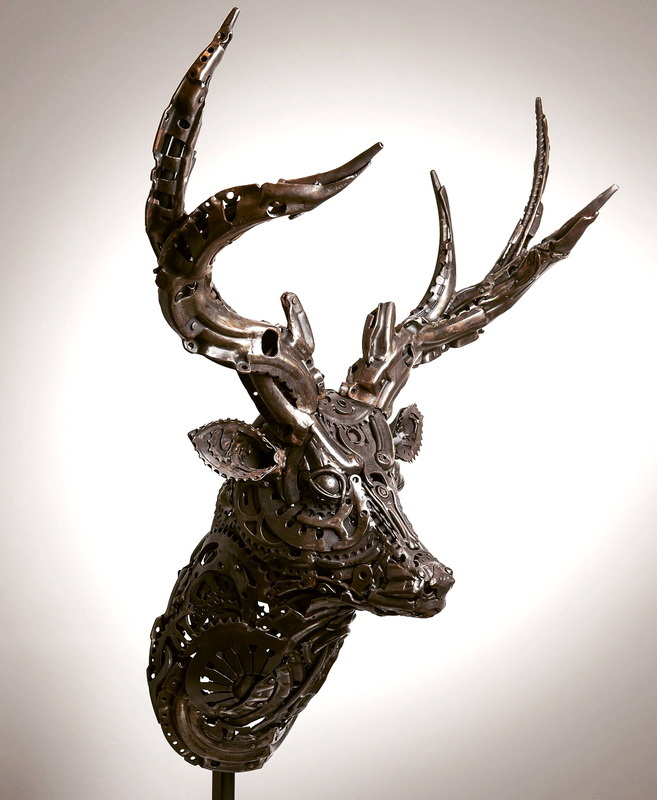 STAG - Comprised of retired tools, car clutches, bicycle and motorbike parts and gears. 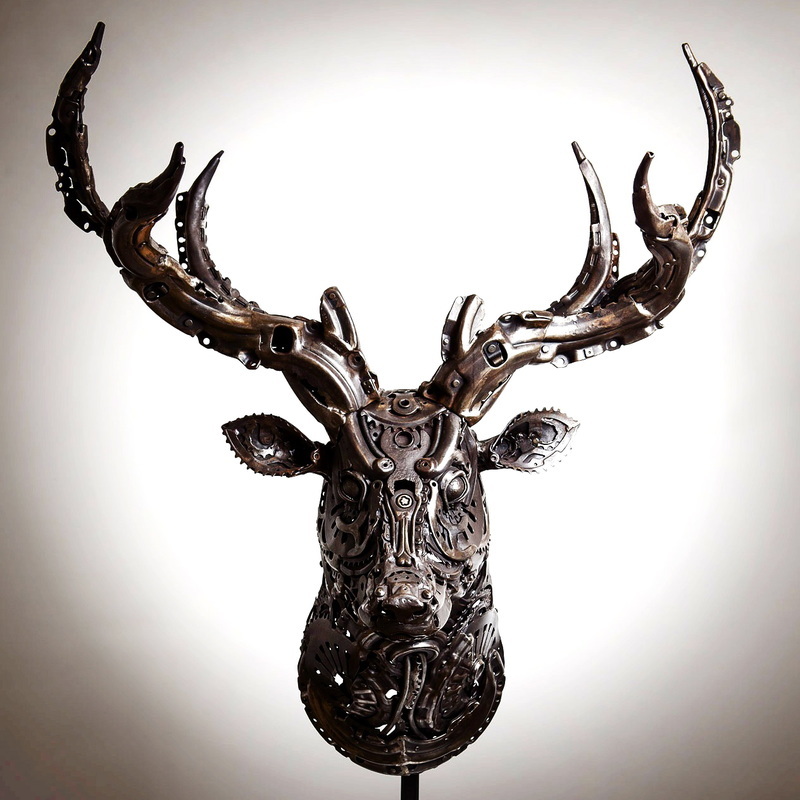 This piece has been zinc coated to make it suitable for living outside as well as indoors. 100cm wide.